Home › Lifestyle › Stop. Reset. Play. Every now and then, we find ourselves in situations or circumstances that force us to take that necessary action of taking a much needed break, shutting down, re-evaluating our goals and refocusing the direction of our lives. A combination of some or all this steps ultimately helps us to step into the next phase of our lives. While it could be self initiated for some people, I think for most (including myself) it is often due to unexpected turn of events emerging from our very well planned or not so planned life. I have decided to call this Stop. Reset. and Play moments of life and living. For me, STOP moments are those times when I am forced to take a break since I rarely do that. It could also be a situation we find ourselves following the achievement of a feat, a goal or a dream. It is that point when we ask ourselves “what next?”. I believe it happens at the end of every phase in life (I don’t mean to be philosophical about it but this seems like the most rational way of explaining this type of situation). Having made a mental note of some of my successes and failures, I am more conscious of the different life events that brought me to Stop moments. Therefore, I kind of know how a Stop moment or experience feels like. I also feel I am getting better at understanding how to react to such moments in order to make the best of it. 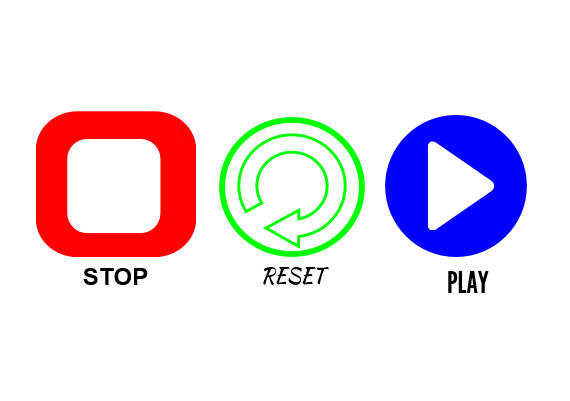 RESET moments would automatically come after the highly anticipated (or not so anticipated) Stop moment. For those who have anticipated the moment, it could be a really refreshing time with the opportunity to touch base on activities or with people that the busyness of life have not afforded one to be involved in. I have seen people taking a year off to travel, volunteering in places they have never been before or taking up a new hobby. If the Stop moment wasn’t anticipated assuming it was a result of job loss or a break-up, easing into Rest Mode may not be smooth sailing due to all the various emotions that usually follow such events. But after all the tears (for those with very good tear duct), the feeling of disappointment or betrayal and the constant replaying of all the events that led to the loss (physical, material, or emotional), we brace up for whatever lies ahead. Hence we revaluate our present situation bearing in mind what or next line of action should be. I personally feel this is a crucial moment because what ever decision arrived at will no doubt have an impact on the journey ahead and could potentially propel us to our desired goal in life. After all said and done, we get to the point where we have to set new dreams, new goals, new targets, new visions and make new discoveries about ourselves and life. This is the moment I would like to call PLAY. It doesn’t matter how long we stay at the Reset moment, I would like to hope that we all have the courage that propels us to crave new adventures, new pathways and new realities. It is at this point that we intentionally decide to brace up for the journey that lies ahead. Hopefully we are full of vigour and rejuvenated from any exhaustion experienced during the two previous cycles. Ben Okri, the famous Nigerian poet couldn’t have expressed it better when he wrote that: “…the most authentic thing about us is our capacity to create, to overcome, to endure, to transform, to love and to be greater than our suffering”. In essence, no matter what led to our Stop and Reset moments and regardless of whether it was anticipated or not, I do believe in not being afraid to press Play and dance to the tune of the journey that lies ahead after much hibernation. Afterall, we owe ourselves that much and I am yet to find a better alternative. Or have you?